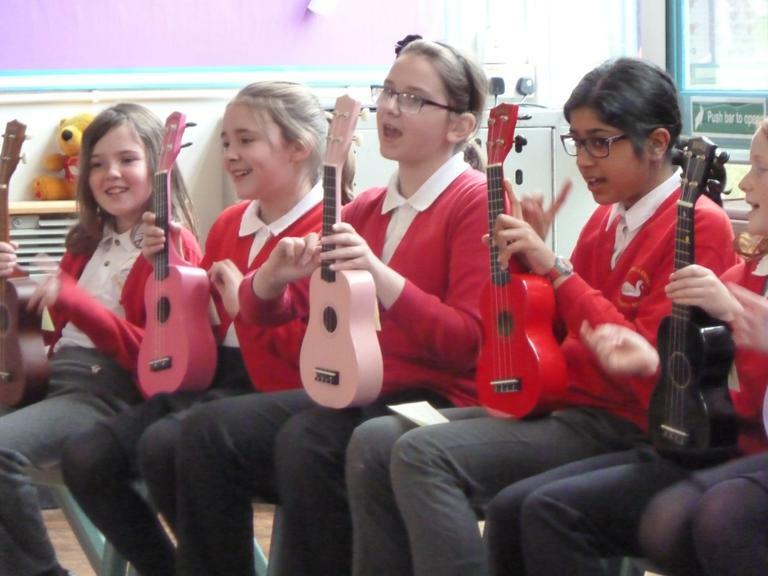 Our brilliant Ukulele Band practise every Tuesday lunchtime from 12.30-1.00pm. 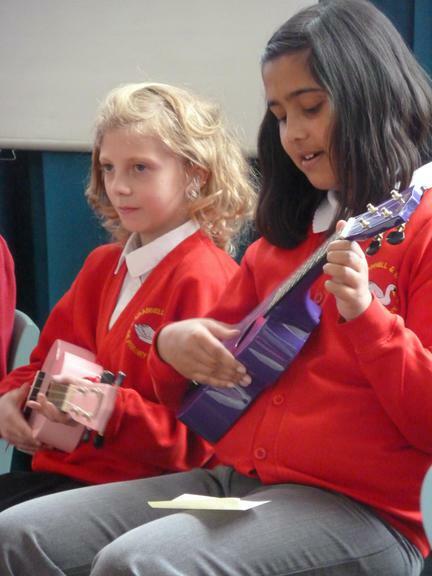 It is open to all children at KS2 with a maximum number of 12. 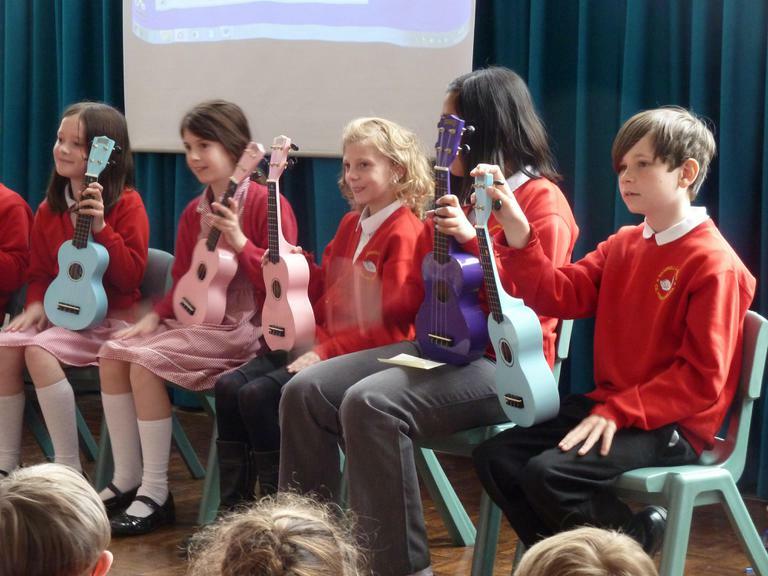 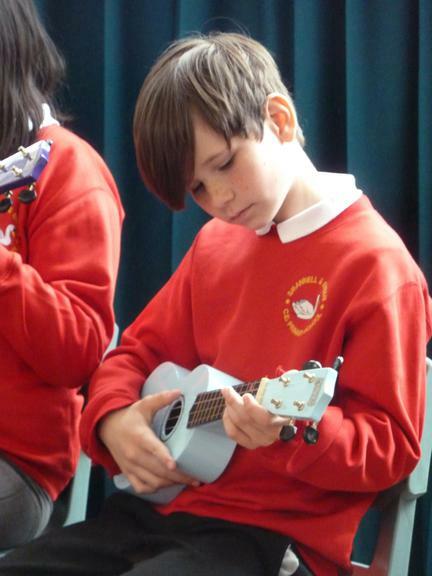 Ukuleles can be borrowed from school if required. 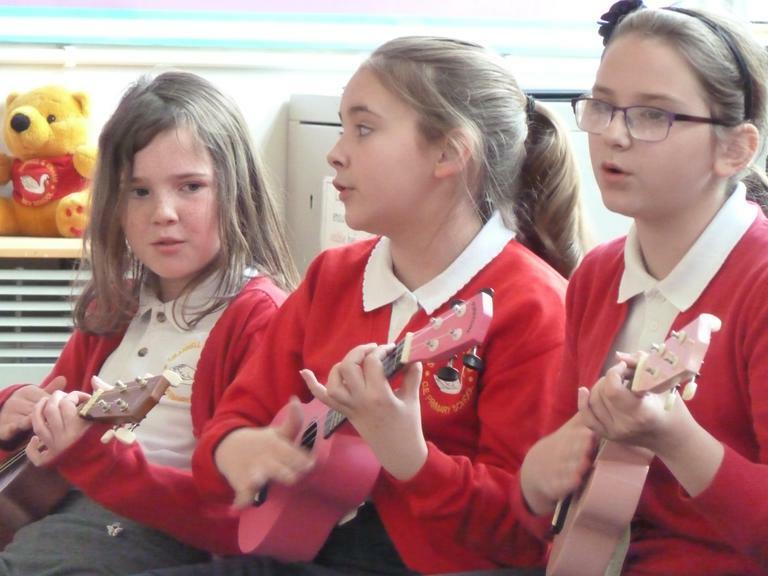 There are still a few spaces left - please ask Ms Davis if you would like to join. 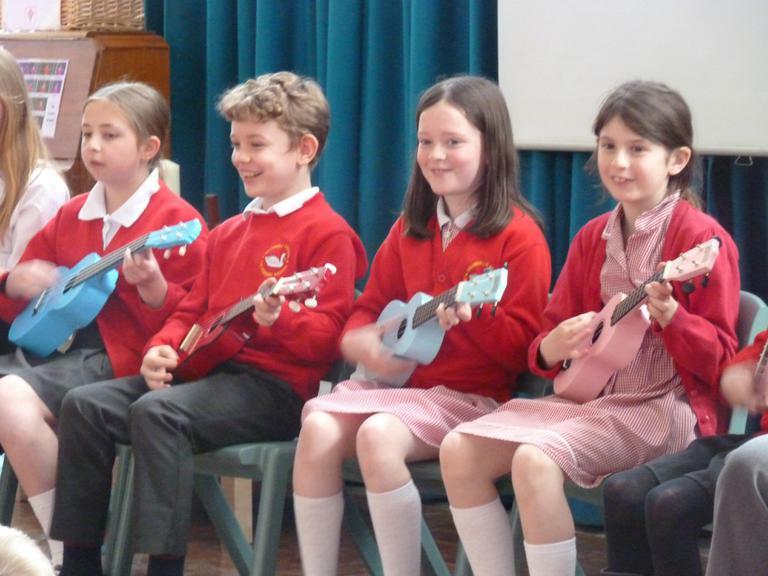 The Ukulele Band had great fun learning Christmas songs and performed them with great confidence at the Christmas Concert, Christmas Service and Carols 'Round the Tree even though they had only started learning in September. 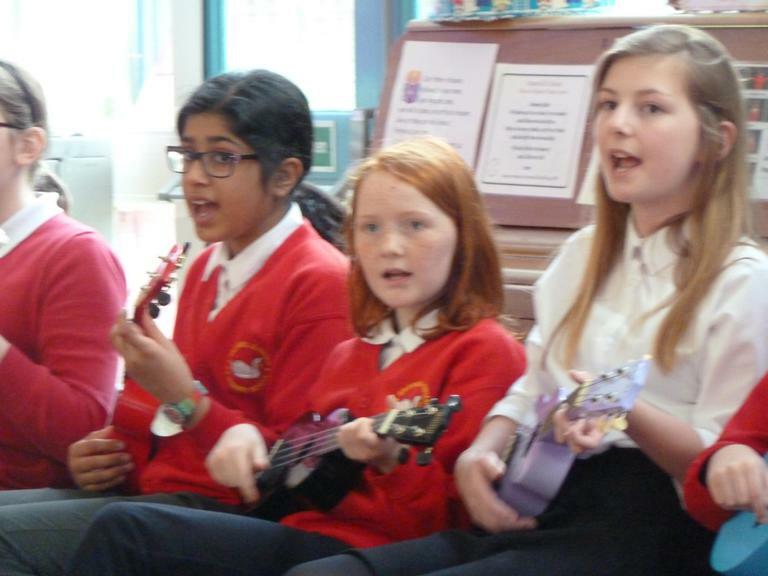 Two members of the band even accompanied the choir when they performed to elderly members of the community at the Sundowners Club in Andover. 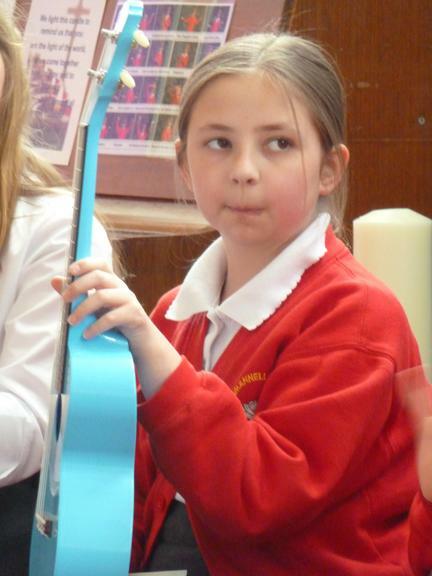 In the Spring Term we welcomed a new member and a returning member to the band and look forward to performing in a concert at the Enham Trust. 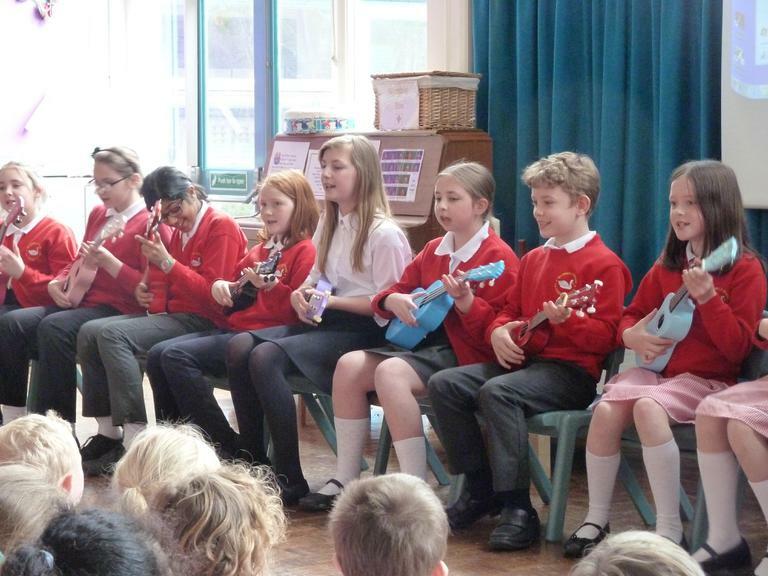 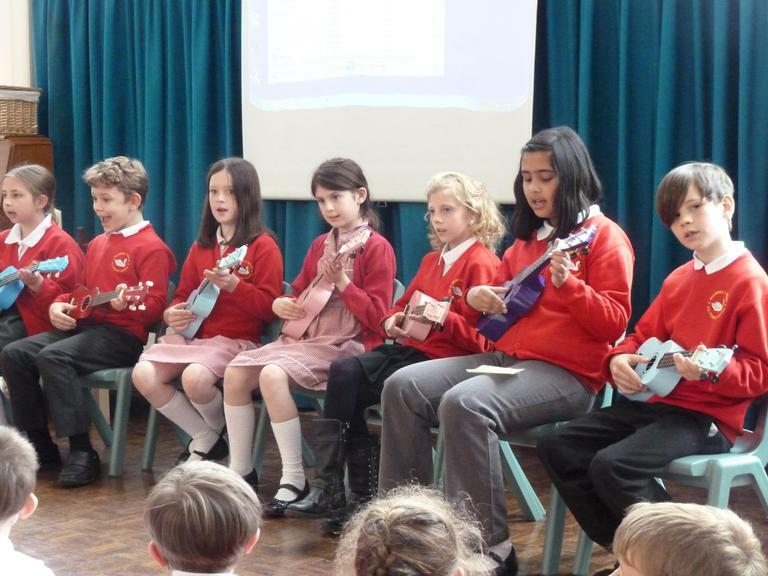 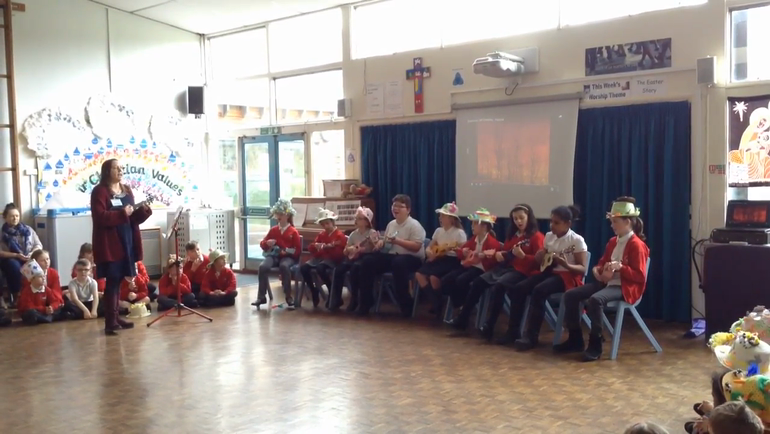 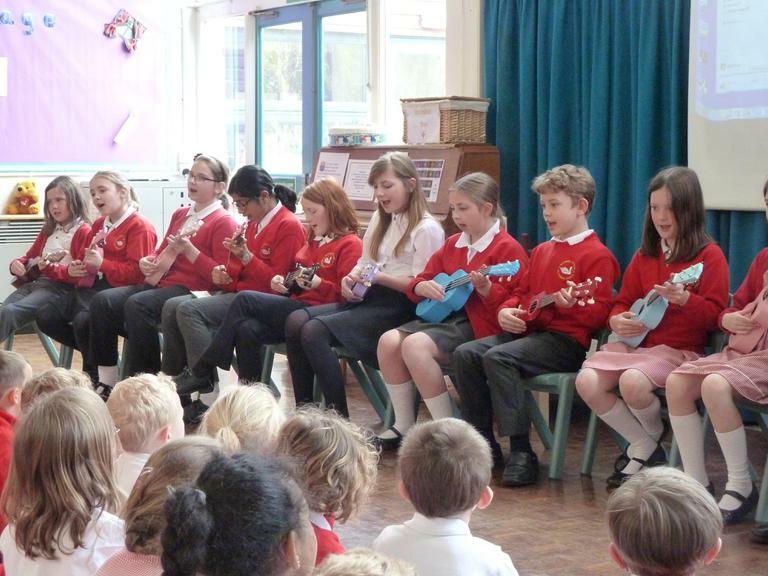 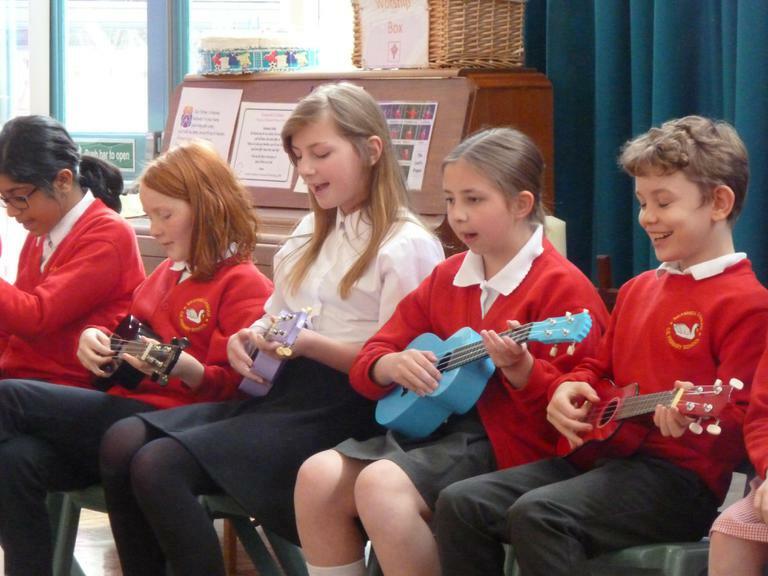 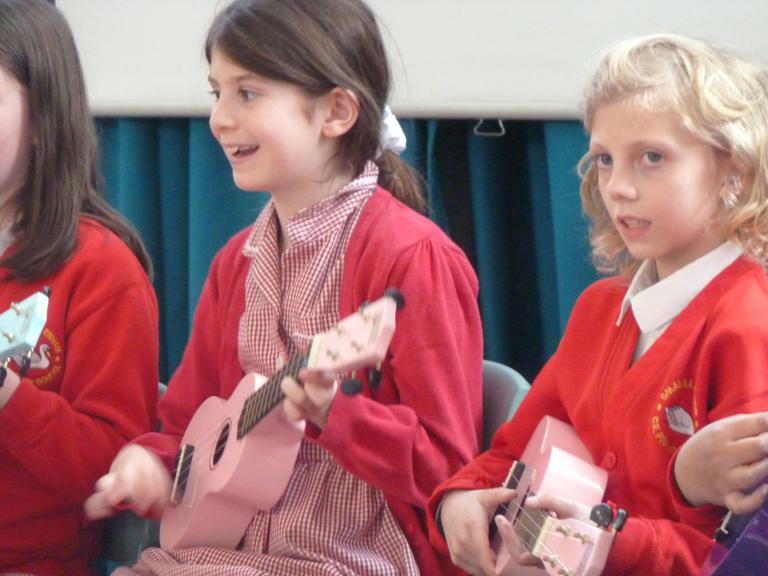 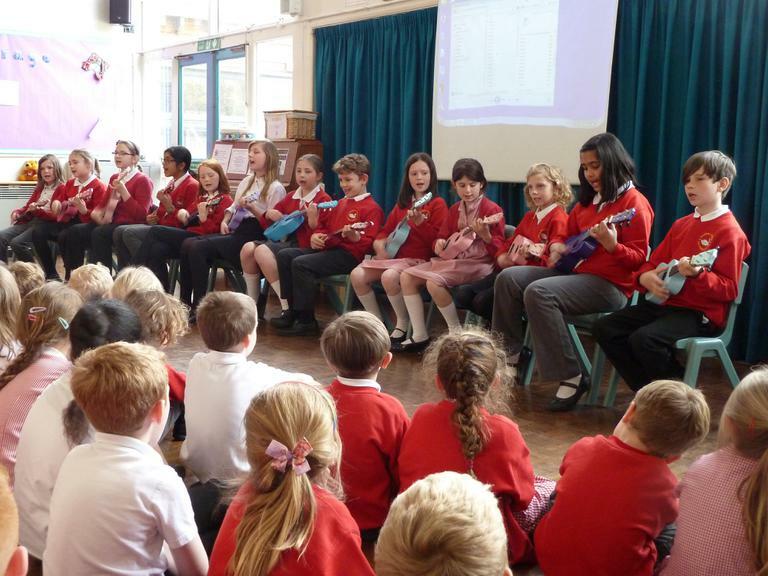 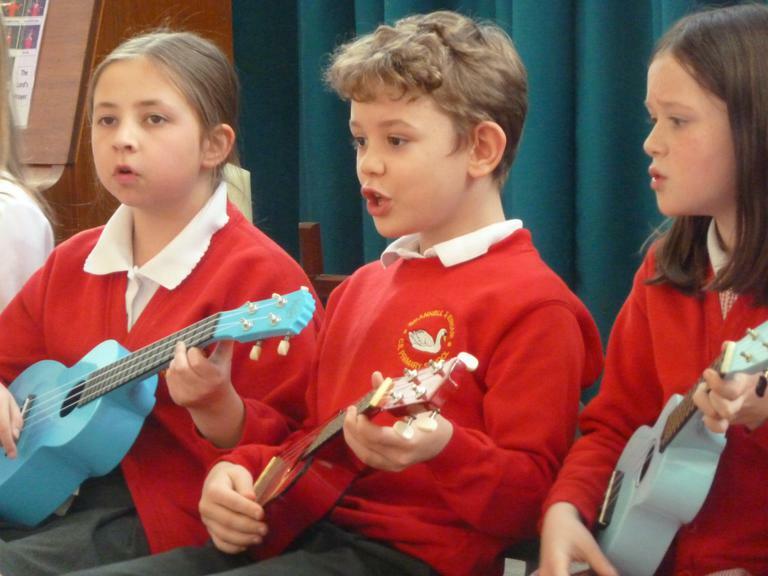 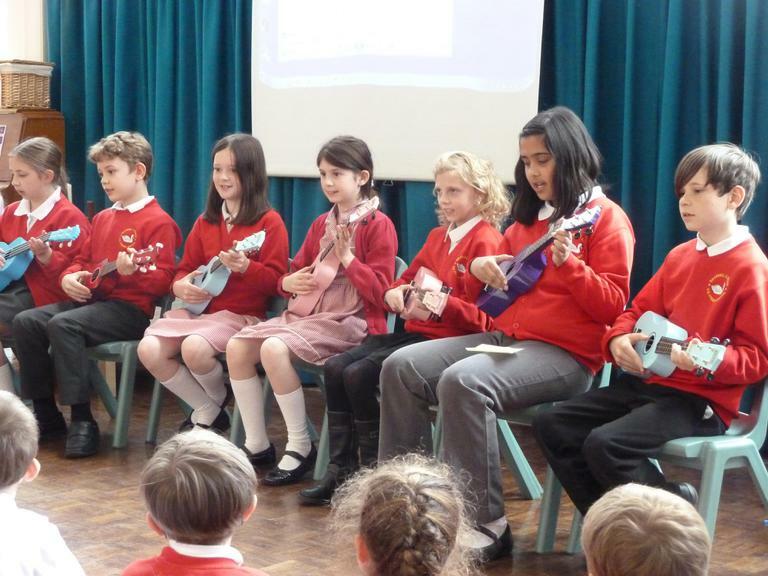 Ukulele Band's first performance in front of the whole school and invited family and friends.